A1 Limo introduces the Mobility Ventures MV-1 to our fleet. The MV-1 features a powered ramp and dedicated area for wheelchair, plus seating for 3-4 additional passengers. 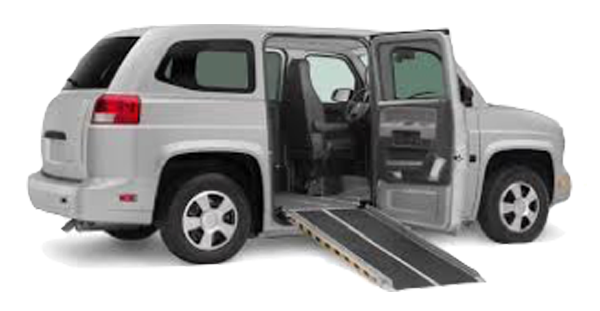 For more information about the MV-1 and other wheelchair accessible vehicles services, please call our sales department at (609) 951-0070 Ext 1004. Already an A1 Member? Click the link below to log into your account for scheduling and reservations. Not an A1 Member? Click the link below to register and enjoy the benefits of an A1 membership. Contact us today! Experience our first class service. Speak with one of our dedicated transportation specialists. A-1 Limousine primarily services New Jersey, Eastern Pennsylvania, New York, Connecticut, Delaware and Maryland however, A-1 Limousine can provide service to and from any location around the globe.